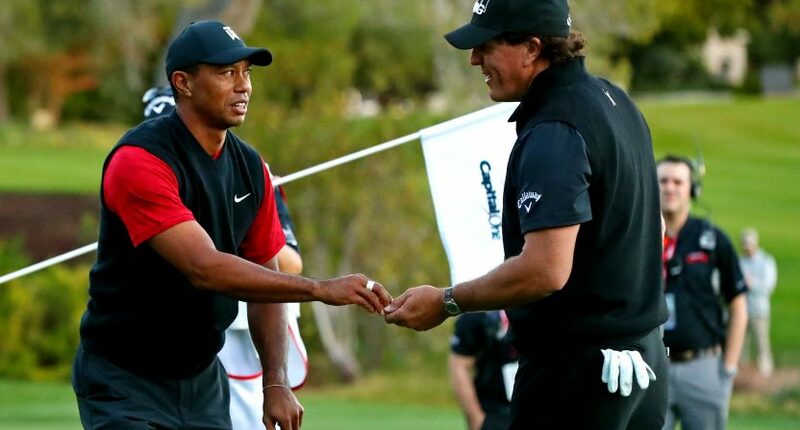 The action on the course between Mickelson and Woods wasn’t exactly a heavyweight fight between two of the greats in their prime. Instead, it laid bare what everyone already knew, that this was 15 years too late to really be relevant. Dan Wetzel of Yahoo Sports even compared it to Caddyshack II, which is about as damning of a comparison in the golf world that could ever exist. And then there was the fact that Turner may have lost in upwards of $10 million because they were forced to offer a live stream of the event for free following technical problems, which led to mass refunds to the people who actually chose to spend money on this thing. After so many issues and problems, both critically and practically, you would think Turner would want to sweep this under the rug and never speak of it again. Turner President David Levy was actually satisfied with how The Match played out and says that with the number of streaming minute and PPV buys that Turner is definitely planning on doing more similar events in the future. Of course, Turner is going to come out and say that The Match was an unprecedented success in spite of all of its flaws. As much as Turner invested in the event and hyped it up, there really isn’t any other choice. The more practical (and interesting) talking point is where the company goes from here and whether or not The Match has any hope of enduring as a franchise. At this point, it’s really tough to see unless the company can get very creative or pull in similar big names. There aren’t too many sports that lend themselves to unique one-on-one matchups that people would be willing to plunk down twenty bucks to watch on PPV. Would the format even work for other sports? Could you do Drew Brees vs. Tom Brady in a one-on-one QB competition? Lionel Messi versus Cristiano Ronaldo in a penalty kick shootout? That sounds like a fun thing to watch on ESPN2 on a Sunday, but not something worth paying for. Sports like tennis and boxing are already one-on-one matchups. And it’s unlikely enough people would care enough to pay for a one-on-one horse race, track & field event, or auto race. The only two sports where this might really work is golf and basketball. Perhaps, instead of Tiger vs Phil, you could do Tiger vs. Rory or Tiger vs Spieth. Those matchups might be somewhat attractive, but even then not the ratings draw that Tiger-Phil was. Plus, the novelty of seeing the winner-take-all format for the first time simply won’t be there anymore. Basketball may actually have the most potential as there are plenty of one-on-one options that would draw viewers in. Viewers might line up to pay good money in order to see LeBron and KD go one-on-one in a winner-take-all match complete with trash talk. But that’s also going to require a lot of planning, a lot of money, and a lot of commitments up front.